Moore’s message, “to those who call yourselves Christians (Muslims, Jews, Buddhists, Bill Maherists, etc. . . .) has outraged some observers as grossly hypocritical considering his financial ties to “PharmaMedia” moguls advancing H1N1 vaccines, population controls, and New World Order politics and propaganda. Moore claimed to speak for the first time about his spiritual beliefs, cautioned against religious proselytizing, but “did a great job promoting ‘socialism’ as a gross hypocrite working for the world’s wealthiest Capitalists,” says Dr. Leonard Horowitz, a Harvard-trained expert in media persuasion and producer of In Lies We Trust: The CIA, Hollywood & Bioterrorism. Shocking evidence proves Moore is working for that “richest 1%.” His co-producers are the people he indicts as enemies of “We the People.” His backers include Harvey and Bob Weinstein, Lloyd Blankfein, and their partners in pharmacogenocide, Rupert Murdoch, David Rockefeller, and George Soros–the wealthiest industrialists in the world, partners that have abused the Capitalist system for decades, leveraged American politics, and co-created our global economic crisis. As documented in Dr. Horowitz’s book, DNA: Pirates of the Sacred Spiral, the PFNYC, along with George Soros’s Applera Company, are intimately linked to the US Department of Energy, the Royal Family of England’s main philanthropic beneficiary, The Wellcome Trust of London, and Rockefeller assets, all key players in the pirating of the Human Genome Project a decade ago. This fraud enabled the lucrative genetic patents markets to be privatized, that is monopolized, on behalf of this Anglo-American controlled pharmaceutical cartel. The partners are intent on evolving “genetopharmaceuticals” and New World Medicine merging Hitlerian eugenics and modern biotech. Most overlooked, Mr. Tony White, was reassigned by George Soros to run Applera following his 26-year tenured position as chief administrator of the Baxter Corporation–the company at the center of the H1N1 Flu vaccine controversy. Baxter shipped vials laced with the deadliest H5N1 influenza virus by “accident” last winter to companies across Europe. The company was predicted to unleash a mutant H1N1 bioweapon in the Ukraine, as has happened, according to political prisoner, Joseph Moshe, previously a microbiologist working for the Israeli Mossad. So Moore’s hidden backers and psycho-social agenda is now transparent. Capitalism: A Love Story is a propaganda piece promoting the New World Order’s agenda–centralized global governance to foster his bosses “socialist” philosophy and profitable theologies. It is very likely that Jesus would have taken out a whip and beat the crap out of this fat fraud! He did that to the money lenders in front of the temple gates for being gross hypocrites, suckering innocent ignorant temple-goers who knew nothing about loan-sharking and crippling interest rates. The 1%–including the Royal Family of England’s Rothschild banksters, the American Rockefellers, Aussie Murdochs,’ and New York’s “Partnerships,” generate Hollywood films to mold mind-sets; and now advance a new “ism”–not Capitalism, Socialism, or Communism. This is NWOism. It’s laughable to envision fat-boy Moore sitting at a table with plump Weinstein here, discussing Judgment Day, and relishing sharing that big chocolate cake sitting in front of them. Can’t you just imagine Moore prodding, Gee wiz, Harvey, maybe we should tithe 10% of our ticket sales, or share some of this cake with the poor hungry people from Skid Row. NOT! Judge this book by its cover, and look beneath Moore’s costume. He is obviously not a model for moderation. By all reasoned analysis, he is a disgusting hypocritical gluttonous prostitute for the SICKOs that command control over everyone and everything engaging their cult. The bible talks about a half-truth being a complete lie, and how hard it is to get this rich fat half-truther into heaven through the eye of a needle. The primary devil-doers controlling guns, wars, and American health care, in SICKO for example, is not the insurance industry, but the Rockefeller-directed petrochemical-pharmaceutical cartel. How could he have missed his co-producers’ financier, Lloyd Blankfein, with his $15Billion acquisition of the H1N1 flu vaccine maker, MedImmune/AstroZeneca. This story, alone, is worthy of a documentary. “We The People” are dying from petro-chemical pharmaceutical intoxications from decision made in private organizations, such as The Population Council, wherein overpopulation has been targeted for a two-thirds reduction, and oligarchs decide how they shall kill us next. For more information about the 2009 Swine Flu fraud, the dangers of flu vaccinations, and a new web page (titled “SICKO”) devoted to this article, see Dr. Horowitz’s comprehensive website FLUscam.com. Dr. Horowitz’s recommendations for flu prevention and prompt remediation are in the FLU “TO Dos” section of FLUscam.com, along with links to his endorsed silver hydrosol formulated to make risky vaccinations and deadly antibiotics unnecessary. 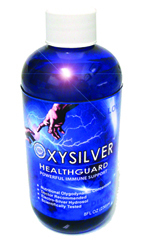 See: OxySilver.net or call toll free, 1-888-KO-GERMS, for more information about this so-called “drug” that “cures” pharmaceutical humanicide. COMING EVENTS . . . .
Join our SPECIAL PRAYER SERVICE next Tuesday Night, 5-6PM Pacific Time, when Dr. Horowitz and Officer Jack McLamb will be praying with thousands of people worldwide for the Creator’s blessings of protection from the sinister actions of those traitors exposed above. CLICK HERE at that time to join the service. Then later that night, join Dr. Horowitz and journalist Sherri Kane on The Insight Hour, 9-10PM Pacific Time, Tuesday night, televised over LOVE528TV.net, FLUscam.TV, and BBSRadio.com. Click any of these three links to watch. Dr. Horowitz will be discussing the successful RESOLUTION, posted on FLUscam.com, just passed nearly unanimously in the County of Hawaii, advancing freedom from mandatory vaccinations for everyone living on the Big Island of Hawaii. Naturally, this was opposed by the State’s health officials. Wait to you hear what Dr. Horowitz and friends have in store for those officials. . . . Don’t miss the show!